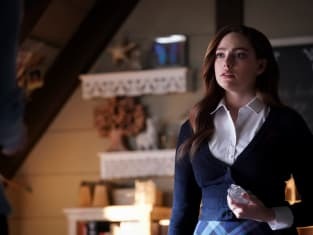 If you were looking for answers, then Legacies Season 1 Episode 15 was the hour for you. I'm still trying to catch my breath from this installment which moved along at such a brisk pace that it probably gave every single viewer whiplash. Let's talk about Landon, Ryan and all things Malivore. Landon has been on a mission to find out everything there is to know about his past, and I did not expect Ryan to unveil all the goodies so soon. The truth about Malivore was fascinating. The flashbacks were enthralling as the layers were pulled back to tell the story about Landon's father being referred to as Malivore because of his ability to absorb beings and remove them from existence. 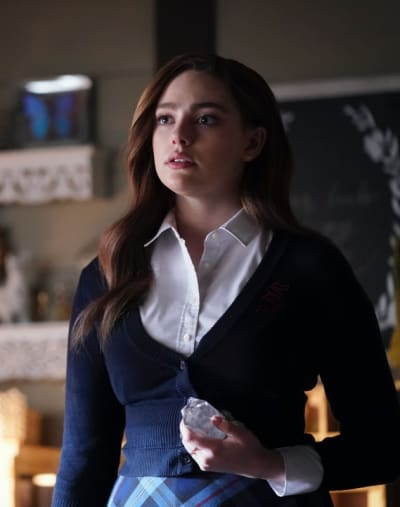 If you watch Legacies online, you know that Malivore has been the prominent story on Legacies Season 1, so it was high time we got all of these reveals. Knowing that there was a part of Malivore that wanted to procreate to avoid being so lonely was equally as exciting. It turns out, Ryan's existence was not enough for Malivore, and even Ryan was not as interested in remaining with his father for that long. Ryan rallying up the ancestors of the humans that Malivore originally helped several years before presented a great twist or the show's biggest plot hole. Unless I'm mistaken, Malivore took the witches, the vampires, and the werewolves out of the equation by murdering the trio that made up Triad. Lizzie: Knock yourself out. First time's kind of freaky because you're basically talking to your subconscious. Hope: Thanks, this is for you . [Hands over Gemini Coven Book]. I saw your dad looking at it, keeps it locked up in his office, so it's bound to have something about that merge thing Josie's looking for. Lizzie: For once, your weird relationship with my dad actually comes in handy. Permalink: For once, your weird relationship with my dad actually comes in handy. That's why Ryan's story about the black magic being used to turn Malivore into the puddle felt off. 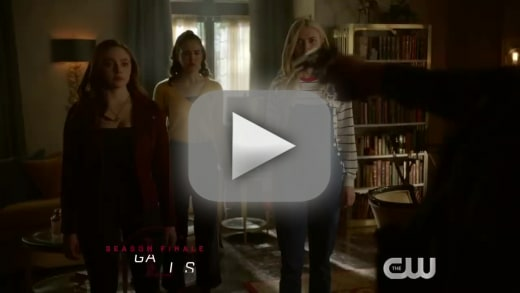 I may be looking too much into it, or maybe it will be revealed on Legacies Season 1 Episode 16. For now, it makes sense for Landon to team up with the closest thing he has to a family. Ryan did give a lot of information to him, but I can't shake the feeling that he's leaving some important details out. Triad appears to be the big villain at this moment in time, but it's possible that we'll learn they are not as bad as Ryan made them out to be and that they want to keep the world safe. Triad showing up at the school was quite the surprise, but it made sense. They want to hit Landon right where it hurts and laying waste to the school will help them accomplish that goal. My major gripe with this outing was that Hope did not follow her instincts from the get-go. She knew there was something amiss with the way he left. Landon was smart enough to leave some clues, and everyone was naive to think he would just up and leave without so much as a second thought. Hope is a smart teenager who is an excellent judge of character. I get that she knew Landon was upset with her, but she should have pressed on with her own plan. That being said, she probably thought he was somewhat safe because of his knack for coming back from the dead. Lizzie and Hope are building up quite the friendship, and it was good that they used it to benefit each other mutually. Hope using the schism to speak with the Landon she remembers seemed more like a way to comfort her because she felt abandoned. Hope has lost a lot of people in her life so it would make sense for her to worry about being abandoned by someone close to her. The major positive here is that she did not wind up back in Roman's arms. Roman is bringing nothing to the story at this stage. 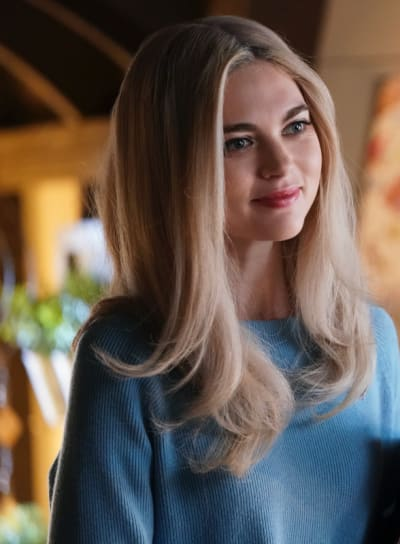 His return on Legacies Season 1 Episode 14 seemed like a contrived way of making things tense between Hope and Landon. 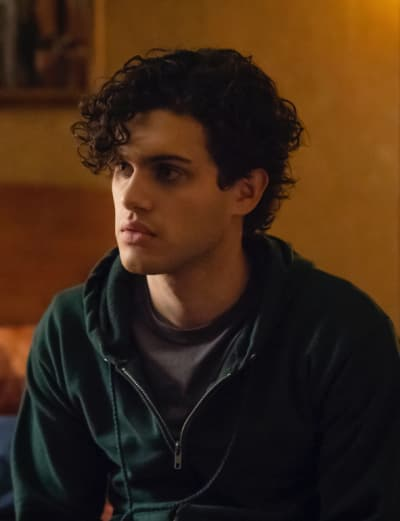 Maybe I'm still pissed because of his involvement in Hayley's death, but there's no room on this show that's already struggling to serve all of its characters. Then there was the merge plot. A part of me figured this would be reserved for much further down the line because of the fact it occurs when they are 22. By my calculations, the twins are way younger than that, and if anything, it's only going to cause them some more heartache. Josie and Lizzie were on the outs, so it would have been difficult for Josie to open up about it without it seeming mean-spirited. I loved that Hope turned to Freya to learn the truth about the merge. Would it have hurt to get a shot of Riley Voelkel as Freya? Hope knew she had to get Alaric to tell the twins everything because it would have ruined the strides she's made with both girls of late. Alaric confirming the truth was heartbreaking. Matt Davis nailed it. Alaric was dreading telling the girls who he has raised that, at one point, one of them would absorb the other. It's a worrying scenario, for sure, and one that is probably going to include Kai Parker. It would be silly not to bring him back to help out with all of this. Sure, he was a villain, but Julie Plec has been vocal about wanting Chris Wood on the show. Emma leaving the school likely foreshadowed Karen David's departure from the series. The actress has been snapped up as a series regular for Fear the Walking Dead Season 5. 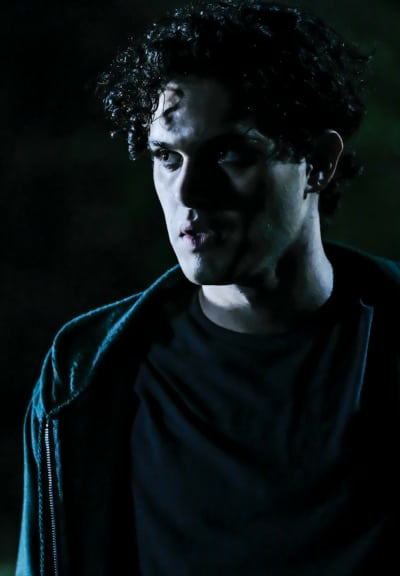 Did anybody else want someone other than Dorian to be revealed as the person Alaric was talking to at the bar? I prepared myself tor the best, but I got predictable. Rafael's storyline felt like a waste throughout this hour. I wanted to check back in with any other character aside from him, which was odd. 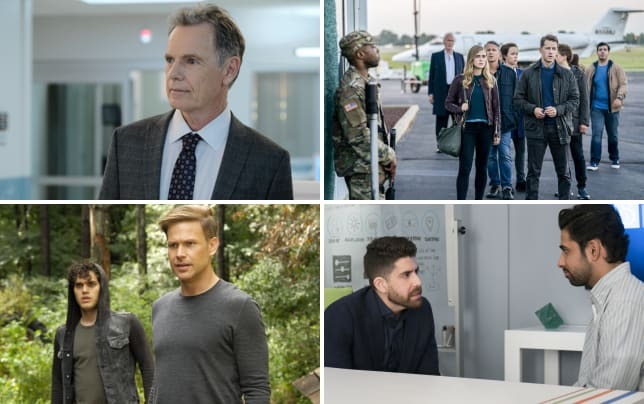 What are your thoughts on all of this, Legacies Fanatics? Who do you think will perish in the season finale? 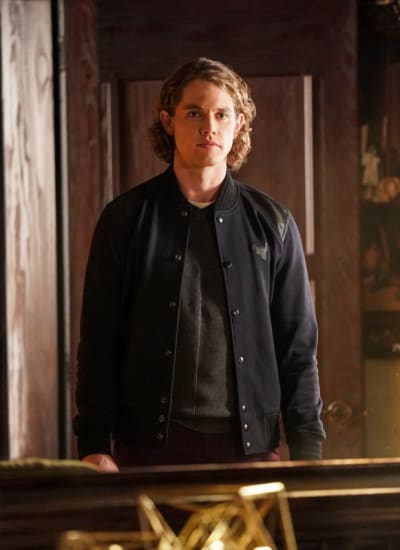 Legacies continues Thursday at 9/8c on The CW.